As I’ve written before unfortunately all good things in life must come to an end so this is the final epilogue for the novel, sob sob…. The drama will also end tonight so I am in line with my Wallace Chung, not a step in front or behind 😛 What do you expect but happy ending with a baby to complete the family of three. Of course they’ll live happily ever after in the novel as well as in our heart. “It is not early, this is the best time to give birth.” Mo Sheng said. Yi Mei gave birth to a daughter. The little girl was very cute and fair. Mo Sheng liked her very much and visited Yi Mei every few days. Sometimes, Yi Chen went with her, but when he was busy, he picked her up at night. The little girl was very fond of her uncle. Whenever Yi Chen came, she would “squeak,” wanting her uncle to carry her. At that time, the aunt and everyone else can only stand aside. Mo Sheng looked at her and nodded her head. She did not beat around the bush, only holding Yi Chen’s hand while saying this. Then she could not help but laugh. “Huh?” Mo Sheng stopped laughing and looked at him. “Let nature take its course.” Yi Chen’s meaning was not to painstakingly go and conceive a child. Under normal circumstances, lawyer He’s defense ability was top-notch. However, when Zhao Mo Sheng took the initiative and was passionate, then that so-called He Yi Chen’s firewall would be penetrated in a short while. Mo Sheng’s menstruation was a week late. Yi Chen very calmly went to buy the pregnancy test kit. Then when getting the test result, he still behaved very calmly as before. She thought after getting back with Yi Chen, her life was complete. As it turned out, outside of completeness, there can be even more completeness. Yi Chen let her hug him. His reply was cautious, and he gently hugged her. Mo Sheng will definitely not utter those words because it would be too embarrassing! Yi Mei burst out laughing loudly. Mo Sheng’s body started to grow heavier each day. Her general well-being was good, except for her sudden urge to eat. Food that she did not like to eat before or never thought of eating, she did not know how they will appear in her brain and make her crave badly. As a result, Yi Chen had to take time to study the cookbooks and improve his skill. Before Mo Sheng got pregnant, both of them often went out to eat. However, nowadays there are so many harmful ingredients concealed in the food so taking into consideration of the child’s health, Mo Sheng had been eating at home since pregnancy. At this moment, all kinds of retorts were useless so lawyer He quietly endured. Using his slowly improving cooking skill, he fed Mo Sheng until she became chubby. On a certain midnight in October, the plump Mo Sheng was pushed into the delivery room and successfully gave birth to an eight pounds, heavy baby boy. When she was being pushed out of the delivery room, a gleam of light was shining on the horizon, the glimmer from the first rays of the morning sun. Yi Chen, who was ordered to stay outside by Mo Sheng, quickly walked over and held her hand. “Yes, it is all my fault.” Suddenly, the eloquent lawyer was at a lost for words. He lowered his head and kissed her forehead. What Mo Sheng meant was she blamed Yi Chen for looking after her too well, resulting in great difficulty in giving birth to a big baby. However, the nurse apparently misunderstood. Even though she was used to seeing all kinds of situation in the delivery room, she also can’t help but snicker. Yi Chen seldom smiled so she felt a sense of relief. A smile from the bottom of the heart was the most lethal. Both Mo Sheng and the nurse stared in awe. Just now in the delivery room, the chubby little baby was still crying loudly. However, when he was picked up by his dad for the first time, he was very obedient, did not cry or make any noise. He just squeaked and tried hard to wave his tiny arms and legs. He also conveniently spit some saliva on his dad’s suit. However, the dad’s suit was not so well-ironed and neat like usual because he had spent the night outside the delivery room. Thus, a little more saliva won’t matter. Returning to the ward, a hot breakfast had already been prepared for a long time. Mo Sheng ate something and tidied herself. Then she felt tired and fell asleep. When she woke up, it was already afternoon. In the midst of the sounds of muffled conversation, she opened her eyes. Mo Sheng saw the room filled with sunshine. Yi Chen immediately discovered that she has waken up and let her drank some water. Yi Mei and her husband Zhang Xu gathered together in front of her bed. Yi Mei was completely defeated by them. Both of them stayed for a while only. Zhang Xu had to go back to the office to settle something whereas Yi Mei was concerned about her baby at home, so she did not stay too long. They left together. Yi Chen got up to see them out. This kind of good weather was suitable to go out, was suitable to shoot a picture of a person without permission, was suitable to walk hand in hand with you. 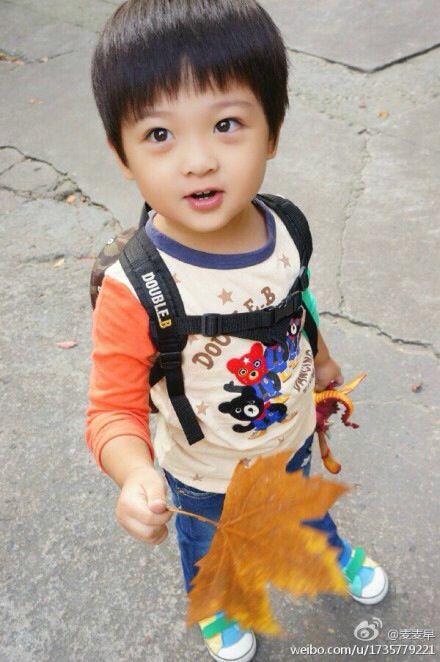 Mom was not at home so He Zhao was picked up from nursery school to the law firm by his dad, who just got back from court. The most idle person in the law firm, Lao Yuan immediately took out the lollipop he had prepared earlier and amused He Zhao with all kind of topics. “Photographer.” He Zhao’s expression was very determined. “Why?” Lao Yuan immediately felt lost. The son inheriting his father’s job would be so good. He Yi Chen’s gene has quality assurance. 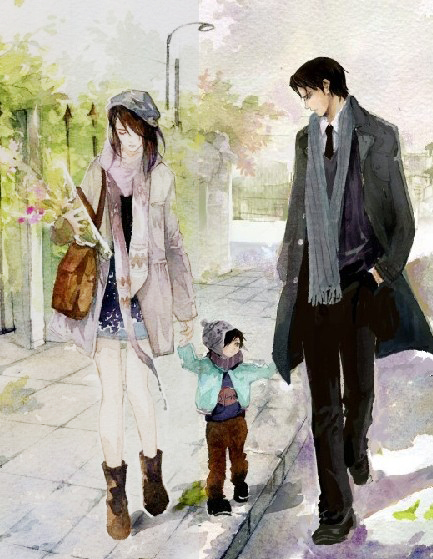 Categories: Gu Man, He Yi Sheng Xiao Mo | Tags: C-novel, 顾漫, Gu Man, Silent Separation, Translation, 何以笙箫默 | Permalink. Huh? You don’t want your Xiao Xiao already lol? Even if I agree to give you, Himmy and Yui also will not let you have him. The ending is very similar to the epilogue, the only episode my eyes were glued to tv. Thank you for the translation! I have a copy of the book but have never read the last He Zhao’s Epilogue before. hmmm maybe I missed it? Somehow, I have always felt that Yi Chen is much more austere in the book? Wallace’s version is certain good, more squee-worthy, but not as serious as I have always thought Yi Chen to be? But nevermind that. After the drama has started airing, whenever I think of Yi Chen, I always imagine him with Wallace’s face. In my mind, they have already merged into one! He Zhao’s epilogue is not in the printed novel but it is definitely written by GM posted on Jinjiang website. You didn’t watch the drama? He is in the drama. He Zhao talks already like his dad, he might as well become a lawyer. Haha… What a happy, happy conclusion to Mo Sheng and Yi Chen’s love story. Thank you so much for translating the novel! Cute little He. Thank you for the translation and such a delight to read your inputs. What a beautiful Love story! Thanks a lot for your translation…. I will always love this story and if ever I feel sad, all I have to do is to read this novel and I am sure everything will be sunny again! God bless you now and for always!!! this chapter is so cute! He Zhao is so adorable. LOL. Thank you so much for making it possible to read this novel. You guys are amazing! Yes, at last WC gets a truly happy ending. Himmy keeps on telling me how much she and the sis like Lu Li Cheng but officially he didn’t get the girl so bad ending. Although TLTSILY can be considered a good ending, WC has lost the war and is poor. Sunshine has the best ending with WC maintaining his love life as well as career and a baby as a bonus. TBH… after finished Sunshine I have a big dilemma…. LLC or HYC?! URGGH That is the question. I can’t choose now. Tsk tsk tsk and you still say YC is better than LLC? So if WC not take this role will you still think the same? Yeah I know and I voted too. Ahhhhh…I really liked the last 4 episodes…I was wondering when you would post this last part…what can I say but the most perfect timing indeed. Thank you very much!!! Thank You Peanut . Lol if they that worry about Kids inheriting their parents Job they can just have a daughter and she can become a Lawyer since He Zhao want to be a photographer. i very much enjoyed reading your translation and thinking of wallace more than the drama.. thank you!! Smart move bcos I also didn’t watch the movie. When u’ve the best YC in the drama, why look elsewhere 😛 ? Thank you for translating this novel from top to bottom!!! Thanks A LOT!!! I’m just into chinese romance novel recently… And this is my 3rd novel read. And I’m super super happy!!! And since I can’t read chinese, your hardwork in translation is really appreciated. It is better late than never so quickly visit my blog to fangirl Wallace Chung lol. We welcome constructive criticism, not everyone has similar taste. I agree the book is too short to flesh out their characters but the redeeming point is it is not draggy. When I first read the novel, I didn’t like YC, found him lacking communication skill and has too much pent up anger. But I do admire his devotion. Of course after WC was cast in the role, I changed my mind & love the character lol. I do agree that MS is a door mat so nothing special to write home about. You’ve to understand this novel was written by a uni student many years ago & can be considered as one of the earlier contemporary Chinese romance novel. It was something new to the students at that time so most have fond of memories of reading it when they were growing up. Although the plot is paper thin, Gu Man has a way with words so I feel that it was beautifully written with many classic lines and humour. Our translation skills may not be good enough to fully capture the feelings conveyed by the characters. Also, with translation, something will surely be lost. When I read it in Chinese, I do feel some emotional attachment to the characters, from their dialogues & the way it was written. If you can read Chinese, I strongly recommend you to read it in its original language to appreciate the book better.